Whether you’re a first-time home buyer, looking to refinance, or just shopping around, UKRFCU is here for you to offer competitive loan rates and lower fees. Life’s most precious memories can be made in your first new home. UKRFCU knows how high of importance finding the perfect home is for our members. We offer our members lower loan rates, less fees, and a knowledgeable staff that can make the home buying and refinancing process easier and stress free. *APR = Annual Percentage Rate. Effective as of 04/01/19. Save $1,000 or up to all closing costs with a UKRFCU mortgage. Terms and Conditions: *ARM=Adjustable Rate Mortgage. Available for purchase, internal and external refinances on primary residences. Investment properties and vacation homes not eligible. Loan amount minimum is $100,000 to be eligible for Exclusive Closing Costs Special. Closing costs are inclusive of the mortgage application fee, appraisal fee, commitment fee, title service fees, and government recording fee. Borrower will be refunded. Qualified applicants must be members or sign-up for membership in the UKRFCU. New memberships are subject to UKRFCU membership terms and disclosures (see membership eligibility at www.ukrfcu.com or inquire at any UKRFCU location). This offer is non-transferable and cannot be combined with any other offer. Loans are subject to approval criteria, not all applicants will qualify. Offer is subject to change or withdrawn without notice. Offer is valid starting March 11, 2019. Federally insured by NCUA. To apply for a Mortgage, you must be a member of UKRFCU. Start your Mortgage Application process today by applying below. Read more about UKRFCU’s Disclosures. 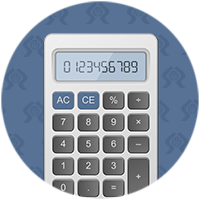 Calculate your future savings with UKRFCU’s financial calculators. Does UKRFCU offer a First-time Home Buying Special? Yes! UKRFCU offer 100% financing for first-time home buyers. Please contact the Loan Department for more information. Is there a penalty for paying off my mortgage quicker than the assigned payment schedule? No, UKRFCU will not charge any prepayment penalties.